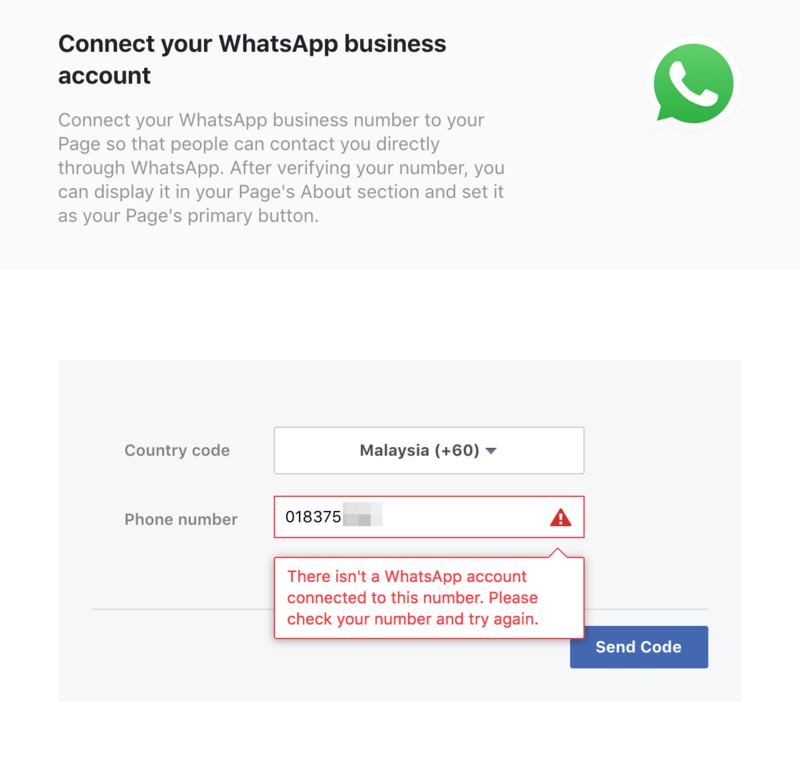 [UPDATE] – We’ve received numbers of inquiry mentioning that they were not able to add in their Whatsapp business number in their Facebook page. Unfortunately we are facing the same issue with our clients as well. We tried to contact Facebook support to resolve the issue, and end up disappointed response from them. If you are facing the same issue and you have resolved it, please let us know how did you do it. To be fair, Whatsapp just launched its business features, it’s still new and i don’t see any real solid helpful features for time being. But i do believe in the future advertising model will be embedded in. Will instant messaging replace email some day? 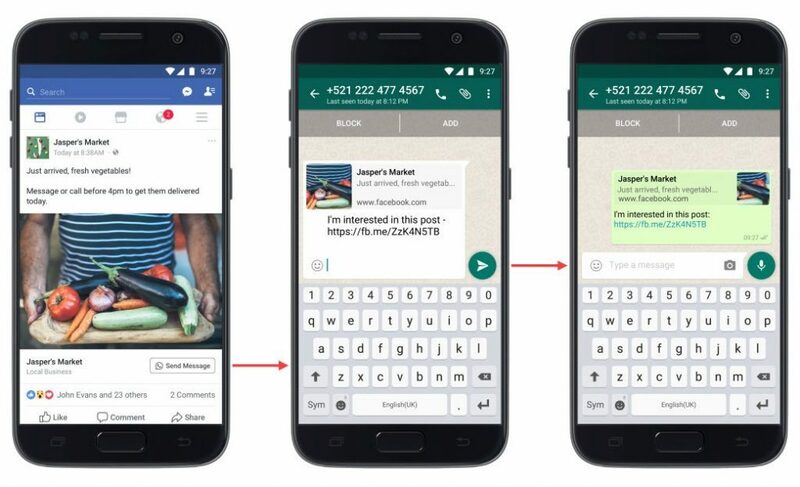 Well, the topic today is not about the future, but how we can utilise the Whatsapp business in assist us in managing our communication with our customers. One of the best part is to connect your Facebook page with your Whatsapp Business number. Once you clicked on the WhatsApp button you shall be redirect to your Whatsapp messaging app. 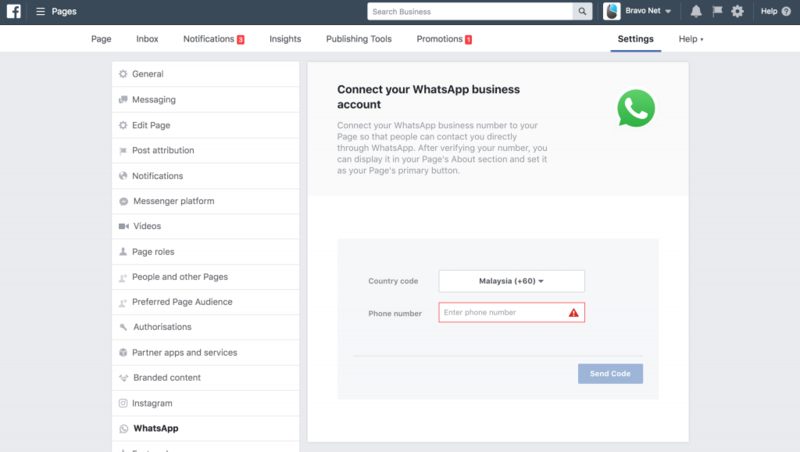 So, what do you need for connect your Whatsapp business number with your Facebook Page? You need a business mobile number and a business mobile phone. Download the WhatsApp Business app in your mobile phone. http://bit.ly/2sAiknz. 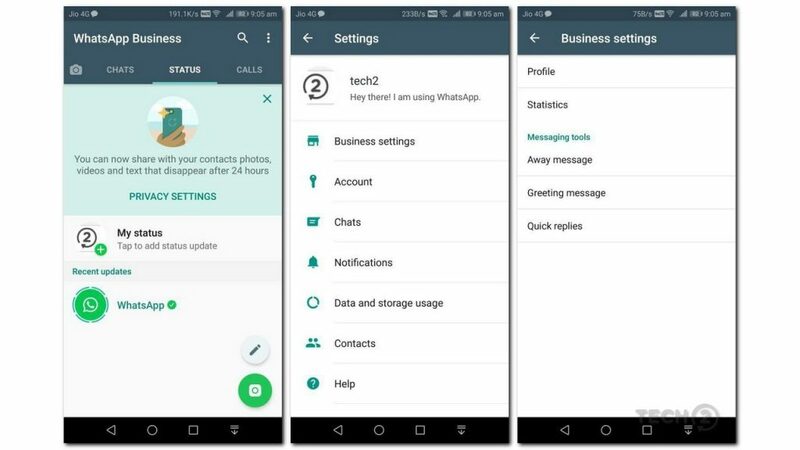 Please take note that the WhatsApp Business app will replace your current WhatsApp app, but don’t worry about your previous chat messages, you will be able to do a backup and restore them back in your WhatsApp Business app. I don’t see any differences between the WhatsApp Business and the normal WhatsApp in user interface. Everything quite similar. 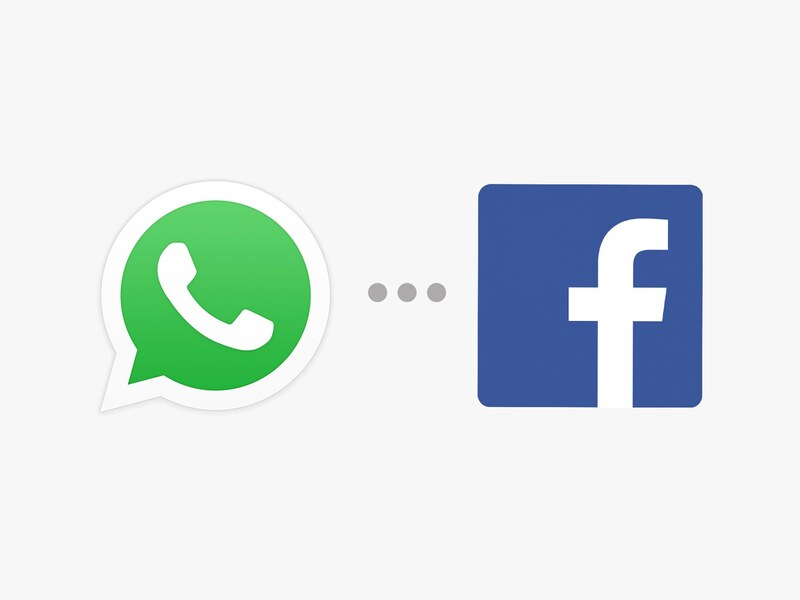 Once you have your WhatsApp Business ready, now is time to setup it up in Facebook. Go to your page settings, you will find a WhatsApp menu at the side and click on it. Key in your mobile business number, let’s say ours is 01120209588, and press on the send code. You should be receive a validation code to validate your account. 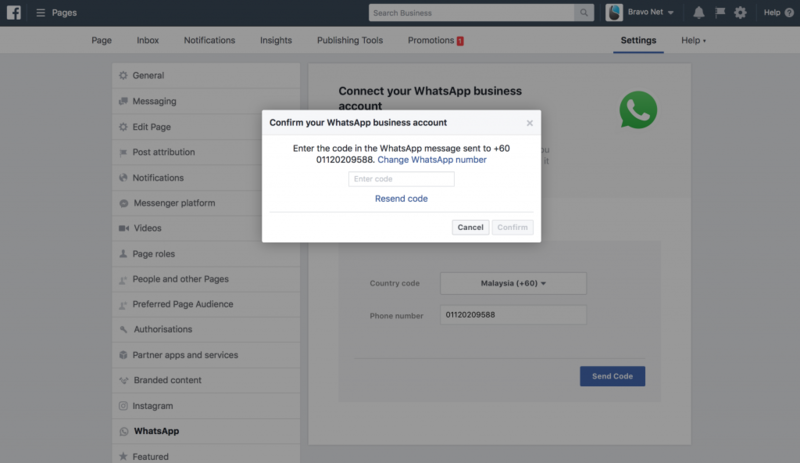 Once you are done, you will be able to see your WhatsApp business number added in your Facebook Page. 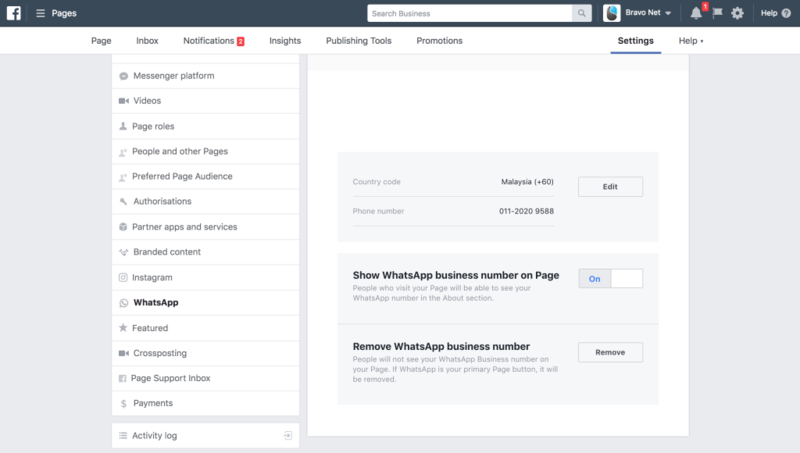 Another benefit to have the WhatsApp number connect to your Facebook page is to have your Facebook Ad appear with the WhatsApp messaging call to action button. Need help? WhatsApp us now.